The world changed when Prozac came out in 1989. A few years later, in 1993, Risperdal was FDA approved for schizophrenia, heralding the “second generation” antipsychotic medication family which includes drugs such as Zyprexa, Geodon, Seroquel, Abilify, Latuda, Saphris and Fanapt. As with all new drugs, there is tremendous hope that the disease sufferers will have relief, and yet, as the story unfolds, the patients may experience greater relief, but they also suffer new side effects which the “first generation” drugs did not have. In other words, like so many things in life, it was a trade-off, as opposed to a transformational treatment. 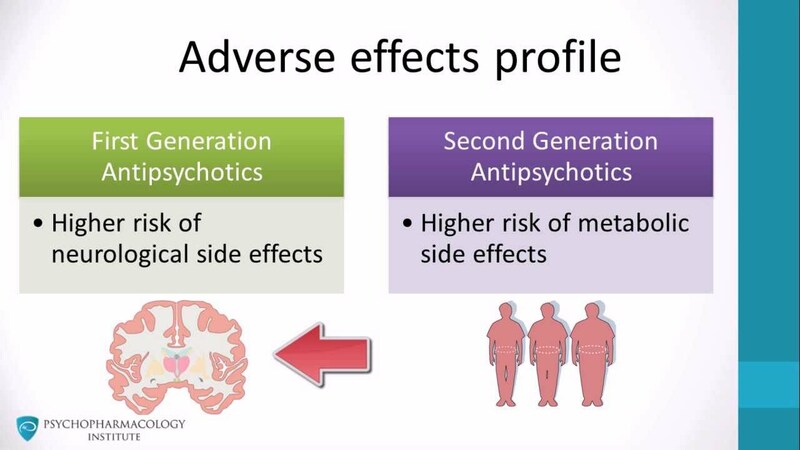 Whereas first generation antipsychotics gave patients a “Parkinson’s look,” second generation antipsychotics cause metabolic symptoms, meaning they are at significantly higher risk for cardiovascular disease and hence a shortened lifespan. Since the metabolic syndrome evolves over time, patients on second generation drugs appear “normal” whereas patients on first generation drugs look “diseased” and hence there is a greater tolerance of these second generation drugs by the general public. As a result, these second-generation antipsychotics are overprescribed to populations in which behaviors may be difficult to manage, such as in foster care and nursing homes. So, coincident with Prozac bringing in a generation of people who are medicated with psychotropic drugs, Risperdal was introduced adding on to the explosion in psychopharmacology. Further, in 2006, Risperdal was approved for the treatment of irritability associated with autism, opening the door to children being placed on antipsychotic medications in shocking numbers. This is disturbing because metabolic side effects are cumulative, and as such, the longer a patient is on these medications, the greater the risk of both morbidity and mortality. The antipsychotics, since they appear easy to tolerate, have become the go-to drug for all behaviors which are scary, which includes severe anxiety and severe anger. As such, there is less of a curiosity about why the patient is anxious and/or angry, and a quick trigger to give medications which immediately calms, but with long-term risks, many people do not want to consider. This issue of short-term relief, in exchange for long-term problems, is a particular problem given that outcome measures are often for short-term issues, and so the data can appear positive, if the measurements are done fairly quickly after symptom presentation. Arlie, a twelve-year old girl, comes to mind. She is bright, has an intact family, has four older and academically successful siblings, and she goes to a high-pressured private school. As the semester nears to an end, she refuses to go to school. No one knows why and she won’t say. Her parents take her to two psychiatrists. One says she should go on Abilify, an antipsychotic, to soothe her presumed anxiety about going to school. The second psychiatrist, many decades older than the first psychiatrist, suggests that she baby-step her way back to school, with incentives after each step, and with a peer assigned to helping her through her day. The parents, not wanting to “trouble the school” opt for medication. Arlie is placed on Abilify and she still refuses to go to school. Her Abilify is increased and then she reluctantly agrees to go. She stays on Abilify and the parents feel they made the right decision. Arlie, when asked, states she is “crazy” and so she is on medication. She feels she “gave up” because the medication dulled her brain, but it is also true, she would say, that it is easier for her to be in school. Arlie illustrates the complexity of these antipsychotic medications. The fact that they produce symptom relief is not necessarily a reason to prescribe them. Behavioral techniques to get her back to school would be more time-consuming and would require heavy lifting by both the school and the family. On the other hand, Arlie would not carry the emotional weight of being on a psychotropic medication. She would also not risk long-term side effects and perhaps most importantly, she would not have the cognitive dulling associated with this class of medication. This case illustrates the tremendous generational divide in treatment approaches. It also illustrates the cultural shift which has taken place over my lifetime. When I trained in child psychiatry 1989-1991, most parents were frightened of medicating their children. Today, I see that , like Arlie’s parents, there is an eagerness to medicate and have the problems be resolved relatively quickly. The fact that antipsychotics no longer make patients look like they have a terrible neurological disease has opened up use of these medications to populations, such as children, who benefit from their calming effects. This benefit comes at a scary price. And so, the class discussion will begin. The stress response releases glucose to energize us to “fight or flight” from a perceived danger. Too much stress can shut down our systems and cause Chronic Fatigue Syndrome. Early stress can impair the HPA axis and cause us to feel charged up even though we cannot identify a trigger. These are the concepts that I want to convey to my students. The problem is that we know so little. There is a developing system which is programmed to help us cope with perceived danger, however, when this system is injured in early childhood, our sense of perceived danger and/or our reaction to it may be seriously impaired, resulting in either an unnecessary hypervigilence or an overwhelming sense of collapse. Perhaps medication can press the re-set button, but we are a long way from knowing that, except to say certain patients have that experience. The below cited New York Times article speaks to the complexity of this circuit. We know a little, allowing us to once again have more questions than answers. 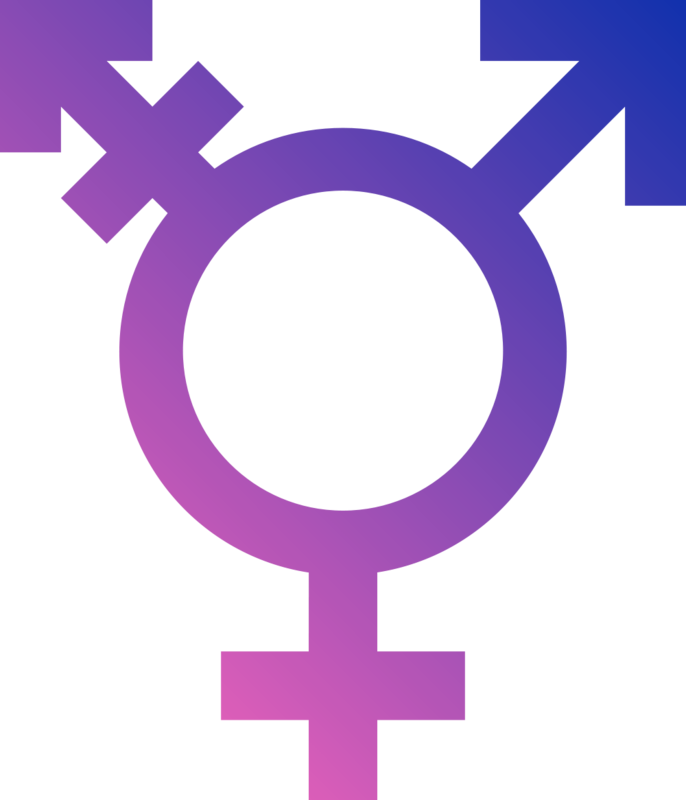 Should Psychiatrists Give A Patient Permission To Change Gender? Jane wants to become John. She wants “top surgery” meaning she wants a double mastectomy. The surgeon requires a letter from a psychiatrist stating the patient can give informed consent. Yet, the surgeon does other procedures in which he obtains informed consent without the assistance of a mental health professional. In the surgeon’s mind, I suspect, is a fear of regret, resulting in a malpractice lawsuit, in which the letter from the psychiatrist serves as some protection. Further, for the patient to get insurance reimbursement, she/he needs a diagnosis of gender dysphoria, but who is to say that gender dysphoria is a mental illness? Yes, it causes suffering, but so does having body parts that cause distress. All of us need to decide what we accept and what we change, and perhaps, just perhaps, gender is no different. Perhaps Jane is not mentally ill, but only sees a way in which he can live in the world and be happier with himself. Perhaps Jane is navigating his world in a way that makes sense to him, and perhaps that is all that matters, given that Jane is an adult. The “Janes” of this world are a growing population; a population that gives some of us pause as to what the rules of the road really are. Jane reminds us that we are not restricted to our biological body parts and that change can happen, sometimes with happy outcomes and sometimes with sad outcomes, but this is what comes with decisions of adult life. If Jane wants help from a professional, that is an avenue that is open to him. To mandate that is simply absurd. Digital Marketing A Psychiatric Practice? Should I have a Facebook page? Should I put a “boost” on Facebook and invest in the marketing of my practice? Maybe I should advertise on Yelp, or use Google ads to promote myself? Once again, there is a massive generational divide. Young psychiatrists feel the answer is “of course”. Whereas my generation and above feel the fear; the fear of loss of privacy, the fear of being slammed on the internet, the fear of feeling like a failure since if we are good, we should not have to advertise. Being on television or YouTube does not mean you are a better psychiatrist, but it can appear that way. Marketers have been around for a long time, even for psychiatrists, but in the past this was a dark secret. Today, there is competition for the best marketing avenues. Plastic Surgeons are using Snapchat to show their work. My feeling is that the internet is a marvelous communication tool in which I can reach people who, in another era, would never hear my point of view. By hearing my point of view, prospective patients can decide if, perhaps, I am a good fit for them. Word of mouth is great, but it is limited, and so the internet opens up the opportunity for consumers to have more information before making that first appointment. I think that is very exciting and helpful. At the same time, the skill of digital marketing eludes me. It seems really hard to know which sites are worth investing in, and which drain the marketing budget. The old saying that half of marketing is a major waste, but the problem is that no one knows which half, rings true to me. I can see the philosophy where you throw the spaghetti on the wall and you see what sticks. Analyzing one’s marketing time and money is key to understanding how to get the word out. My shop is open, and I have no shame. I have all of the necessary credentials, along with decades of experience, but no one would know that, unless I tell them. The onus is on me to package myself in a way that works, both for me and the patient. Can the internet be used against me? Of course. Every intervention requires a risk. Courage is the name of the game. If I put myself out there, I allow patients to offer their opinions about me, for all to see. I understand that downside, and I accept. The internet is a wonderful marketing tool and I embrace it. Should Schools Offer Wellness Centers? 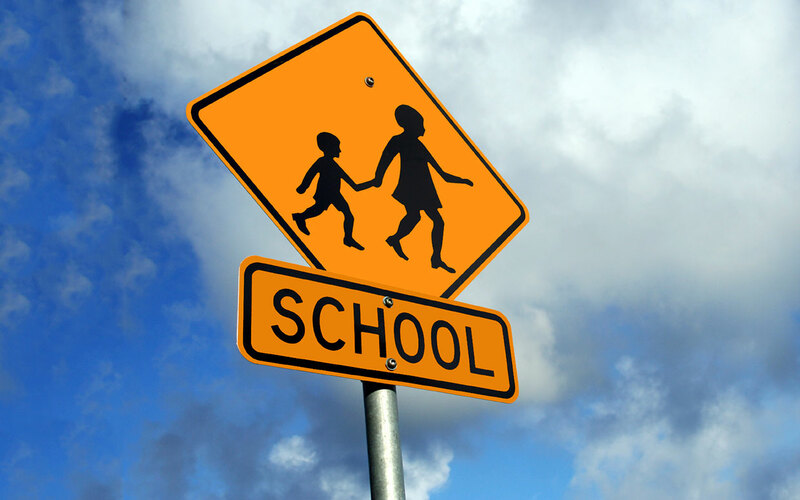 Should I child who refuses to go to school be offered an online education? Should schools offer a place to go to school that is not in the classroom or on the recess yard? These are the types of questions which came up as I spoke about childhood anxiety disorders to school personnel. Anxious children need help coping, but whose job is this? The family or the school or both? The anxious child, generally speaking, does not interfere with the classroom agenda, so should the teacher feel compelled to intervene? What about technology? Can technology be utilized to help anxious kids by using relaxation apps, or deep breathing apps? As the scientist who presented a lecture today on learning models of the brain, “it is fun to ask questions for which there are no answers.” My opinion: schools should offer wellness centers, by that I mean all schools, not just high schools or universities. Children need a place to learn to relax just as much as they need to learn to read and do mathematics. Once there are wellness centers, then the severely distressed kids can be identified and referred to a professional, but most kids will benefit from interventions such as yoga, talking to a trusted adult, and relaxation areas. How do we measure the success or failure of these wellness centers? I would say by measuring the number of children who are at home and refusing to go to school. I suspect that this number will significantly diminish if there were a place for kids to go in which they were out of the social and academic pressure of school. These wellness centers would serve, for some children, as a transitional space between school and home to make the leap from school phobia to school attendance. It is not that children will never need anti-anxiety medication, but I suspect that wellness centers will also slow down the prescriptions given to children, making this another outcome measure. Sometimes psychiatrists need to advocate for common sense. And so I did. DSM 5 has added Non-suicidal Self Injury Disorder (NSSID) as a new diagnosis for those who cut on themselves without the intention of dying. Should I rant about this? Of course. Cutting behavior is a symptom of psychic distress, not a diagnosis, per se. The issue is what is the meaning of the cutting? Self-soothing? Attention-seeking? Feelings of helplessness in that there are few other options, or feelings of empowerment because now the person has turned passive feelings of despair into active feelings of anger? As with all symptoms, the puzzle begins, with the task of the professional to try to understand the broader context of this behavior. The act of cutting does not communicate the essence of the patient’s struggle, only that some sort of struggle is going on. This is the difference between a symptom and a diagnosis. A diagnosis is an answer and a symptom starts the questioning. As with so much of psychiatry these days, the confusion between symptom and diagnosis is disturbing. Once a diagnosis is made, questioning often stops, and treatment begins. With NSSID, this should start the inquiry, and not lead to quick labeling and a certainty of a mental illness which underlies the behavior. Mental distress does not equal mental illness. DSM 5 gets that all wrong. End of rant, at least for now. The Two Cultures and the Scientific Revolution, 1959 by C. P. Snow. And so, despite my many rants on this blog, I am shocked that I am shocked about the lack of referrals I could give this eager resident. I know and I don’t know the pain of thinking that I am the last generation to embrace the mind and the brain. Friday morning I venture off to Reiss-Davis to talk about mood meds in kids, and actually, more broadly speaking, medicines for the child’s mind. This is a three-hour presentation to non-medical colleagues about the positives and negatives of treating children with medication. My first objective is to emphasize the need for a thorough evaluation, meaning a minimum of three hours, consisting of a history from the parents, an interview with the child and a feedback session. Although this three-hour evaluation is hardly ever done before placing a child on medication, I will say that it should be done and we, as professionals who care deeply about children, should insist on. My next objective is to separate out the notion that making a diagnosis does not mean treating with medication. Although this is obvious, in today’s world, the expectation from a psychiatrist is a prescription, as opposed to non-medical types of intervention such as psychotherapy or new school placement. I will then launch into the details of medicating children, with particular emphasis on the notion that this is a two-parent consent process, such that the job of the psychiatrist is to create consensus and without this, the child will feel confused and split between his parents. The last part of my presentation will be reviewing the various categories of medication, reinforcing the notion that the decision to medicate, in children and adults, is based on a risk/benefit analysis. In the end, medicating patients is a challenge of clinical judgment, knowing that close monitoring is essential, since each patient is different, and as such, we never know what will happen. As I conclude, I will feel like I have removed the curtain of psychiatry, because my message is we are guessing when we medicate children or adults, but with children the stakes are higher and the meaning of the medication runs deeper. By that I mean that a child’s brain is developing so we must be aware that we in no way want to inhibit that brain from its developmental course. In adults, we obviously do not have to worry about that. 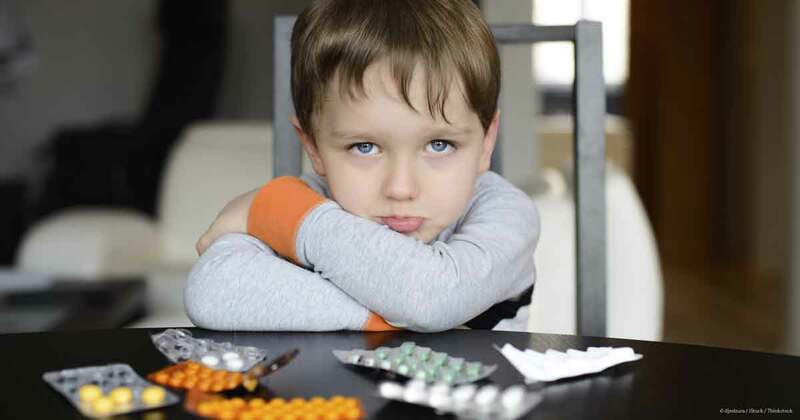 Further though, on a psychological level, children who receive medication might also receive the message that their brains are defective, and hence the impact on the developing self-esteem is something we need to think long and hard about. So, I will end my talk with more questions than answers, reminding my audience that I trained before Prozac so I bear witness to how we now have tools to help kids that we did not have in the past, and for some children, they are very fortunate to be born in this era, but for other children, they would have been better off to be born before 1991.